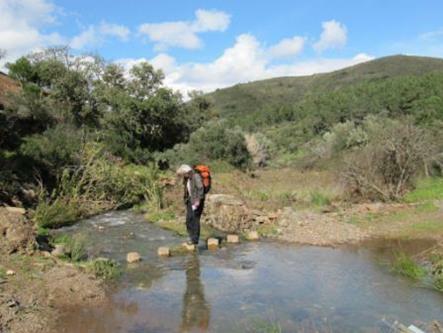 Five sections of the Via Algarviana, the long distance trail, 240 km., through the countryside of the Algarve, starting at the Spanish-Portugese border and ending at Cape Saint Vincent, in Vila do Bispo, south-west Portugal. We started our walk at Alcoutim, at the banks of the Guadiana river. The whole trail is divided into 14 stages. Getting there: a flight to Faro airport, the shuttle to the bus terminal of Faro-city, from there the bus to Villa Real de Santo Antonio, and last the bus to Alcoutim (1 hour, 40 minutes). Maps: the five sections we walked are well marked (GR system, white-red). 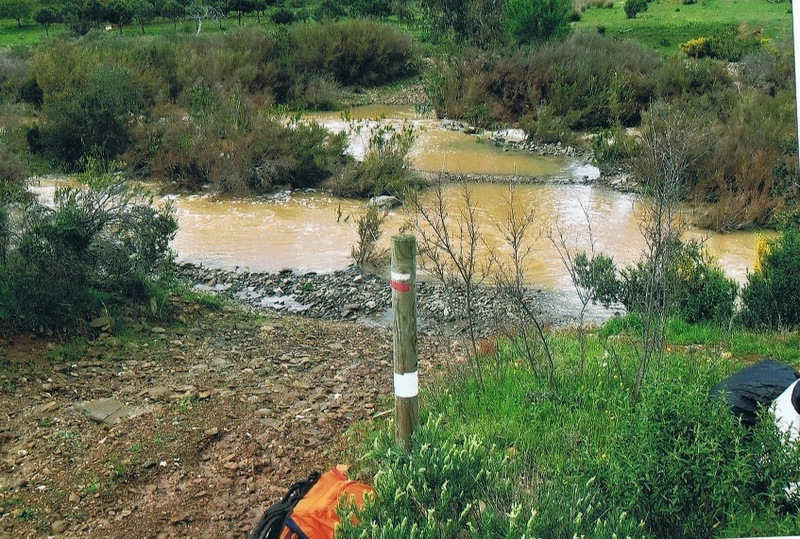 You can download a guide book with information about the trail (click here), including maps of the 14 sections. 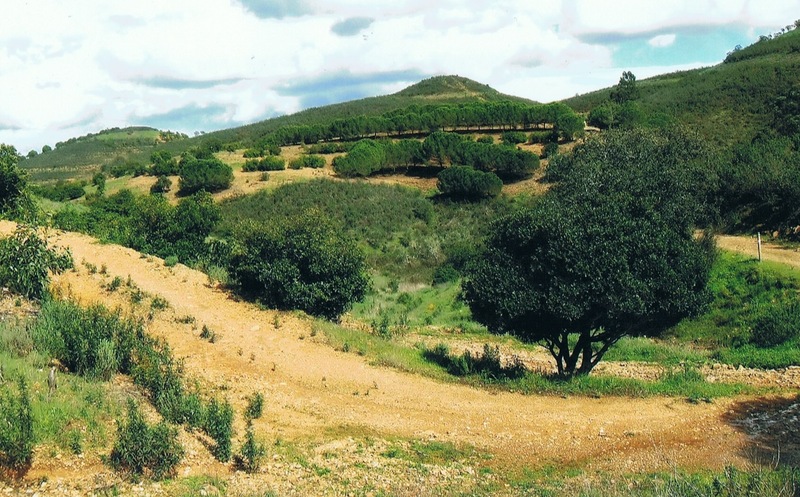 Accommodation: the trail is adopted by Almargem, a non profit organization, among other things aiming to maintain the natural, cultural and historical heritage of the Algarve (At the coast mass tourism already ruined a lot). Almargem can help you by making the reservations for the accommodation (hotels, guesthouses, B&B’s). 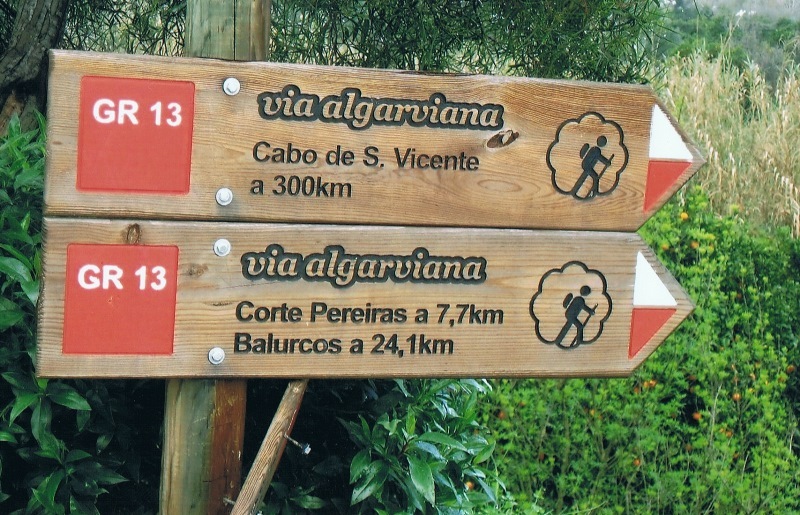 March 2011: five sections of the Via Algarviana, 15-29 km. a day. 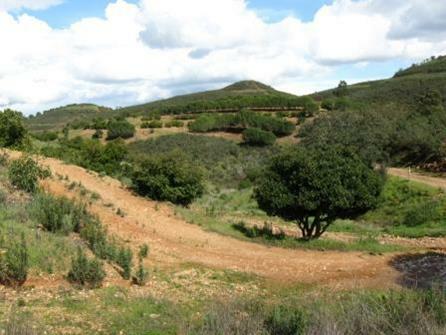 Height on trail: until 506 m.
Day 1: Alcoutim - Balurcos……………….....24,2 km. 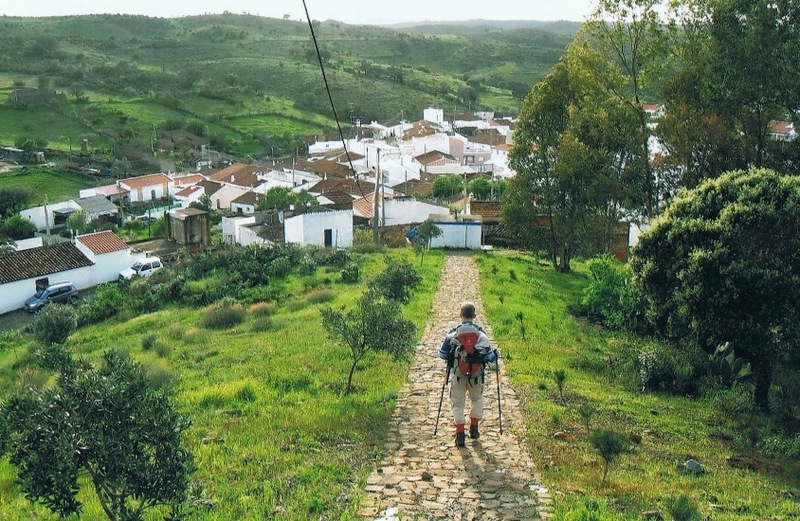 Day 2: Balurcos - Furnazinhas……………..14,3 km. 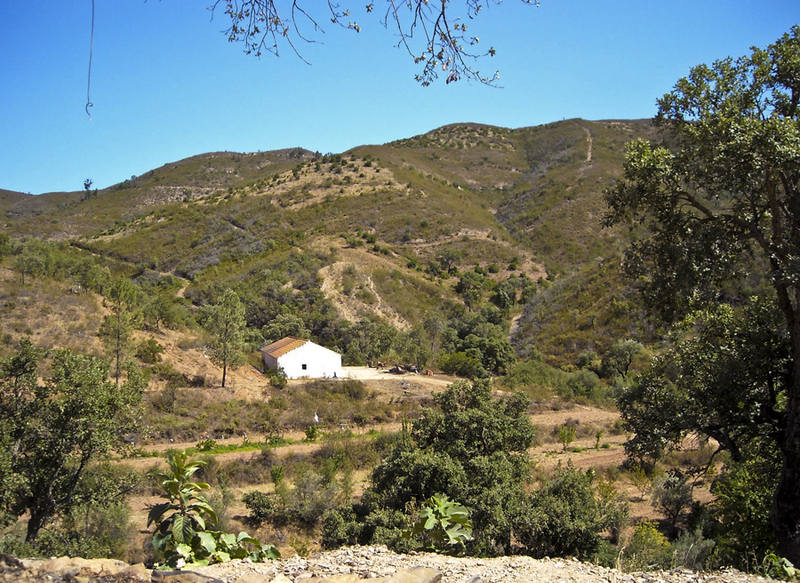 Day 3: Furnazinhas - Vaqueiros…………..20,3 km. 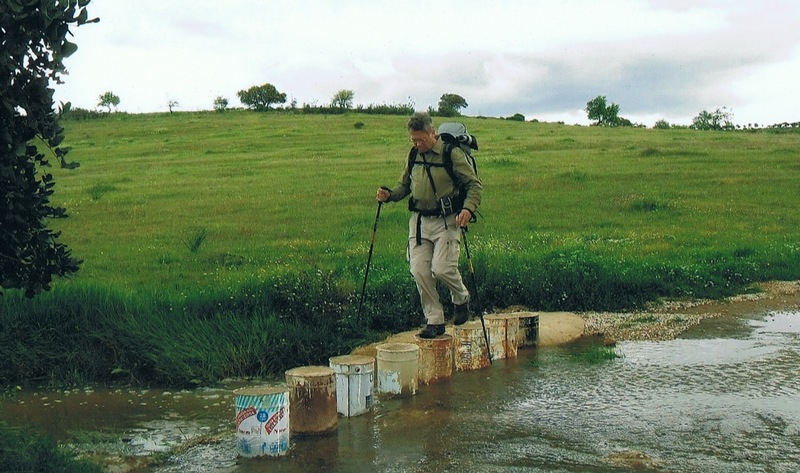 Day 4: Vaqueiros - Cachopo…………….….14,8 km. Day 5: Cachopo - Barranco do Velho…..29,1 km. On trail: the different, original forgotten? 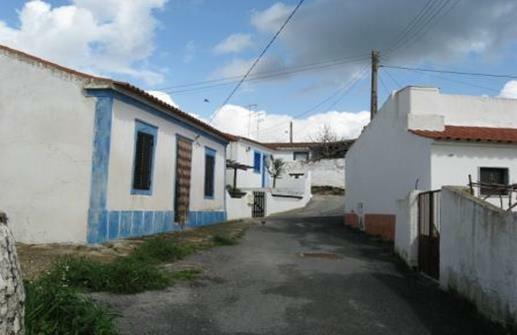 Algarve, with her partially abandoned villages, or villages only inhabited by elderly people.Search in Google images on "Algarve" and you will only see the coastal pictures. As if that is the Algarve. For Google, of course, it is also the most commercially interesting. Meet the original architecture (water wheels, fountains, ovens), walled almond- and olive groves, cork oaks, the great panorama’s from the hilltops. In the spring - while tolerable temperatures - rich flowering nature, such as the rockrose (Cistus). The rosemary, lavender, fennel, thyme, heather and here and there even orchids. Or the strawberry tree, fig tree, carob tree, cork oak and almond tree. After heavy showers we advise the walker to be informed by the local people about the water level of the rivers. Small streams can grow into raging rivers in a very short time......be prepared! The storks in Faro - which nest everywhere - are well known, but depending on the season you can discover various migratory birds in the Algarve, whether or not in groups.Birds of prey! During our walks we hardly saw any of our fellow-brothers and -sisters. We did see some groups of cyclists who apparently are allowed to use the same route. Click here for part 2 of this trail.